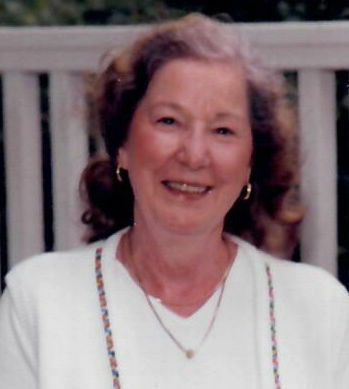 Joan Clara (Young) Bachhuber, 87, of Sauk City, passed away peacefully Friday, March 29, 2019, at Oak Park Place Assisted Living due to complications of Alzheimer’s disease. Joan was born July 8, 1931, in Plain, to the late John and Elizabeth (Haas) Young. She was united in marriage to the late John “Jack” Bachhuber on Oct.31, 1952. Following the death of Joan’s husband in 1969, she launched her nursing career; first receiving her licensed practical nurse from Madison College, secondly her registered nurse from Madison General and finally her bachelor of science nursing from the University of Wisconsin-Madison. She worked at the University of Wisconsin Hospital, retiring after 25 years of service. Joan enjoyed playing cards, reading, music, traveling, spending time with her grandchildren and great-grandchildren as well as antique shopping with her friend of many years, Bernie Campbell. Joan was a member of St. Aloysius Catholic Church. Joan is survived by her son, Steve Bachhuber (Jean) of Madison; grandchildren, John Bachhuber (Amy) of Prairie du Sac, and Tara (Pete) Klun of Sun Prairie; great- grandchildren, Jack and Charlie Bachhuber, and Alex and Abby Klun; her sister, Rose Breunig of Sauk City; her brother, Frances "Shorty” (Barbara) Young of Prairie du Sac; and brothers-in-law, John Curran of Wauwatosa and Dr. David (Lee) Bachhuber of Potomac, Maryland, as well as many nieces, nephews, and friends. In addition to Joan’s husband, she was preceded in death by five sisters and seven brothers. The family thanks Darla Quinn, Mary Murry, and Mary Zenker for the great care given Joan while she was still living at home. They will always be known as “those people that drive me.” Thank you also to the staff at Sauk Prairie Grill for the kindness they extended to Joan. A heartfelt thank you to the very kind compassionate staff at Oak Park Place and Heartland Hospice. A celebration of life will be held at 11 a.m. Thursday, April 4, at the First United Church of Christ, 504 Washington Ave., Sauk City, with Pastor Bill Kapp officiating. A visitation will be held one hour prior to the service. Interment will follow in the St. Aloysius Cemetery. In lieu of flowers, donations may be made to the Alzheimer’s and Dementia Alliance, 3330 University Ave., 300, Madison, or to the Joan Bachhuber scholarship fund for future nurses.